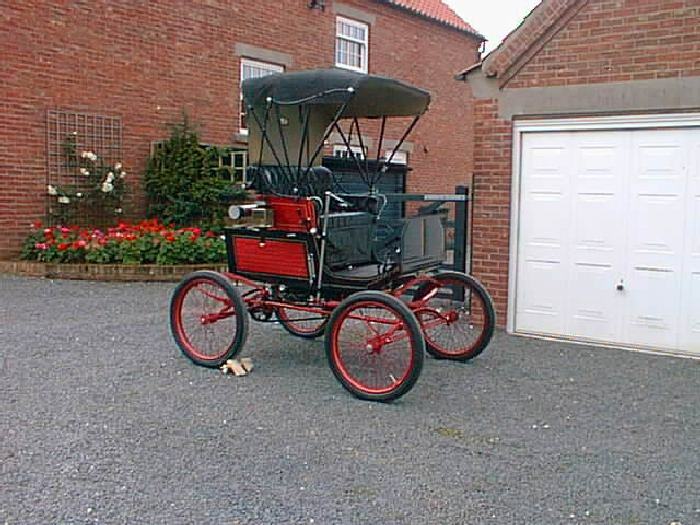 1900 Locomobile Style 03 Runabout with Victoria top owned by Colin May, Yorkshire. Rebuilt 2005. Previous owners, Valesh, Riley, Chicargo museum of science and industry.